You are interested in a smart overview of the messaging runtime data of your SAP PO Interface Landscape and would like to receive a MessageVolume Report with all your messages (e.g. per month) including Amount, Duration, Size and Volume? Then you need the WHINT MessageVolume Report. 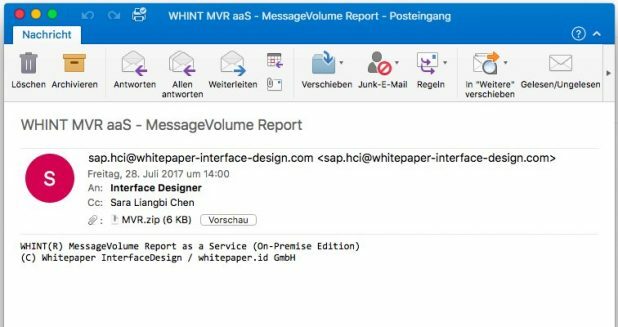 In this case, SAP Cloud Platform Integration (HCI) is retrieving the Integration Configuration from your SAP PO system(s) and sends you an E-Mail with the Excel Sheets attached.